Virtual Office Miami Beach is conveniently located right of the A1A cross-way and 5th Street, the access to the Southern part of Miami Beach. 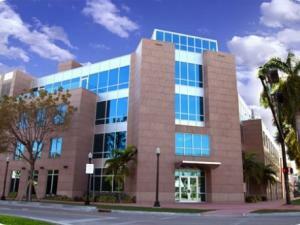 This modern building and interior are perfect for any business situated at the South Beach area. Avoid traffic and reach your office conveniently by bike or foot. Swift arrival and departure for your clients is warranted due to the close connection to Down Town Miami. A quick drive to the Miami International Airport just takes 25 minutes. The facility includes the latest in technology and provides you with fully furnished and serviced office suites. Our on side staff is professionally trained to attend to your every office need. Start your business within minutes with one of our Virtual Office Miami Beach plans or even rent a turnkey office suite by the month, week or day. Just bring your laptop and start working. Phone answering services as well as secretarial assistance may be added as needed and keep you connected and flexible wherever you are. All virtual plans can be arranged for online, just by adding the services reacquired to the checkout. You will be kept informed after signup until your services are fully activated. Depending on the time of the day or weekend, our turnaround time is less than 24 hours in most cases.